Partial Synopsis: The traditional stories of Ireland, Scotland, Brittany, and Wales transport us to the fantastical world of Celtic folklore. Translated and transcribed by folklorists in the late 19th and early 20th centuries, the 16 stories in this compilation conjure forgotten realms and rare magical creatures in vivid prose. 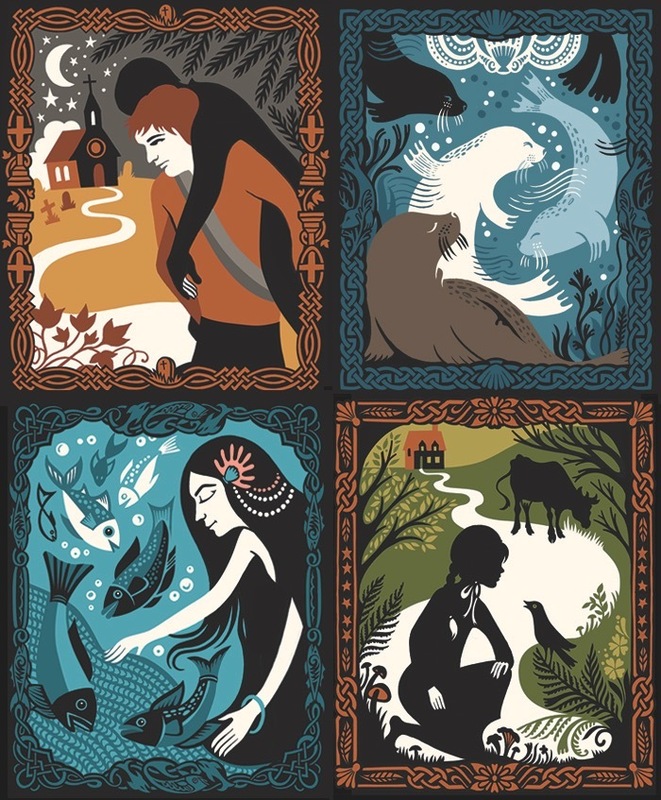 These timeless tales brim with wit and magic, and each one is brought to life with elegant silhouette art by Kate Forrester in this special illustrated edition. My Thoughts: I tend to read more during the Winter. After a hot bath, a book is chosen and our cat curls up with me for a quiet evening. In this sweet collection of stories; love, faith and determination mix with monsters, castles and magic. Evil may lurk in the dark woods, but our heroes and heroines stay the coarse. These lovely tales end with justice for the hateful, bad guys while the courageous, good guys get to live happily ever after. Love conquers all, right? I prefer to believe that. The photo has been shared from Kate Forrester's Website. Isn't her work amazing?